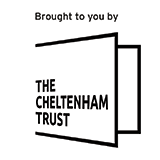 Sign up to Leisure at Cheltenham to skip the queues and the joining fee. That’s right, if you start your membership this month and pay through monthly direct debit payments you can save yourself £30 – cash to invest in some new gym gear! And if you’d rather pay for your membership in one go, we will give you a whole month’s membership absolutely free. If you want to get fit for the summer, now is the time. Fill out the form below and we’ll be in touch shortly. Alternatively, you can sign up at our Front Desk or call our Customer Services team on 01242 528 764.